GIJoeCon 2018: Slaughter’s Marauders Mutt revealed! Another day and another reveal from the GIJoeCon 2018 set. Today: Slaughter’s Marauder’s Mutt & Junkyard! – Modern Era Release of Character based on 1989 SM design. baton, knife, dog leash, and G.I. Joe Logo Stand. The 2015 SDCC Kre-O Slaughter’s Marauders set has been reviewed! When it comes to both Sgt. Slaughter and Kre-O, I know of no bigger fan than Todd Weinzierl of JBL’s sister site Magnum6Delta.com. So, when it came time to review this set I had to seek out the expert– and luckily he was willing to share his thoughts on the SDCC Kre-O Slaughter’s Marauders set that has taken the fandom by storm this summer. After all, many fans thought that they’d never see Hasbro have the opportunity to produce another Sgt. Slaughter figure again! New images of the SDCC Kre-O Slaughter’s Marauders set! The Kre-O Slaughter’s Marauders set has taken the fandom by storm since images first dropped online earlier this week. Now, thanks to the good folks at Hasbro and Hunter PR, we have even more images of this amazing set. ATTEN-TION! Sgt. Slaughter makes his KREON debut to lead the MARAUDERS into battle against DESTRO and the IRON GRENADIERS in this special edition set! Comes with 12 KREON figures — including BARBECUE, FOOTLOOSE, DARKLON, VOLTAR, and, in another KREON debut, DESTRO in his infamous leopard-print coat. Also includes pieces to build a SGT. SLAUGHTER TRIPLE T tank! This special edition set comes packed in special throwback “boxed set” packaging resembling your favorite ’80s & ’90s VHS cassettes, complete with Sgt. 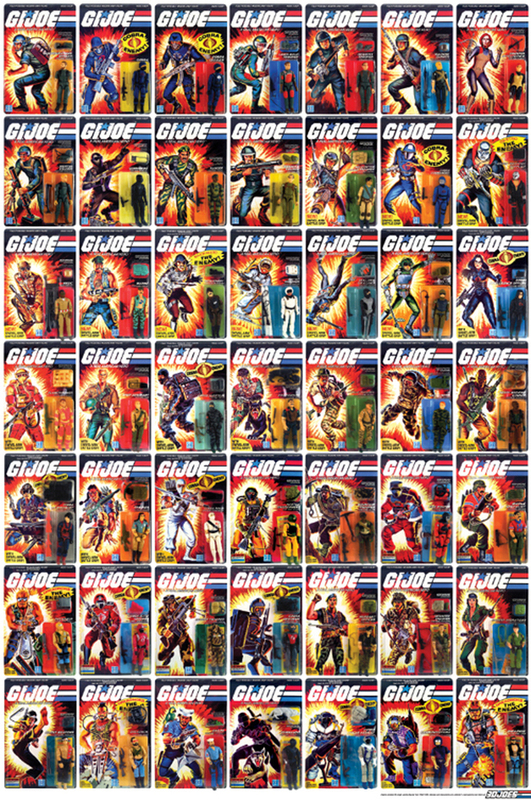 Slaughter and DESTRO file cards and art that re-creates classic G.I. JOE packaging! You’ll have a blast with this set, AND THAT’S AN ORDER! Following the convention, a limited number will be available on HasbroToyShop.com. Kre-O Slaughter’s Marauders are invading SDCC 2015! Back at Joe Con 2015, the Hasbro team revealed several 50th Anniverary-themed SDCC exclusives for this year’s con. However, they hinted that one more “very special set” was coming. Attendees speculated briefly over what it might be but, in all honesty, it was quickly forgotten in light of the on-hand items shown. (GUNG-HO!) A few days ago, an image leaked out that seemed to indicated that a Kre-O set based on Sgt. Slaughter was coming. Now, thanks to the intrepid folks over at Uproxx, we have confirmation that Kre-O Slaughter’s Marauders are coming! Not only that, but Sgt. Slaughter himself will be on hand on Saturday July 11, 2015 at the Hasbro booth for two separate autograph signings. Having had the privilege of meeting the man himself again last year at a logo baseball park, I can say that fans are in for a real treat with the Sarge himself attending!